* Min. screen size: 26"
* Max. screen size: 42"
125mm long. For small detailed work. Hardened Blackened Steel for Precise Cutting. BT approved to BT Spec M128. Strong elastic & adhesive properties. Suitable for insulation, termination, sealing, waterproofing, splicing and repair. When tapes are stretched and wrapped around each other, they merge forming a solid impenetrable join. * Supplied with 1TB HDD, with option for 2TB, 4TB or 6TB. * Can be set to Real-time, Time Lapse, Motion Detection or Programmed Timer. 1 HX8 AHD High Definition 8 Channel DVR with Hard Drive, HDMI & VGA outputs, with Mouse. After this period the DVR will start to over-write old events. * Dual stream encoding ensures high quality recording on the streaming all broadband speeds using the extra stream. * Built-in IE plug ins, or powerful CMS software included. * Simple backup via USB stick, external HDD or via network / Internet. * Alarm alerts via email. Video Motion Detection: Each channel can be set to 192 multiple detection areas. 1920 x 1080 Full HD Resolution in a widescreen 16 x 9 format. -Convenient key controls for functional set-up in the multi-language OSD. -Easily detachable base for wall mount. 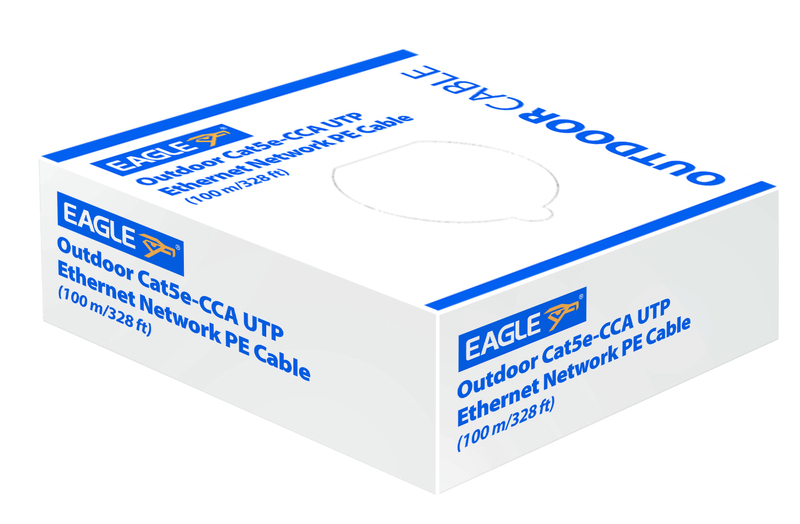 Outdoor CCA ethernet network cable (4 pair UTP) is CCA (24 AWG) and supplied in a continuous 100m length (328ft). This product is an ideal alternative to cable utilising copper clad alloy (CCA). Manufactured in accordance with ISO11801 and fully ROHS 2002 95EC compliant. Supplied in dispensing box with integrated cable feed. Cable marked at 1 metre intervals for ease of use.